Not many cars can pull decades old design off. But London Taxi did it and is still doing it. With just slight evolution in design it is well known around the world and it became one of the London’s tourist attractions. First London Taxi was Austin 12/4. It was introduced in 1930 and produced till 1934. Next in line came the Austin FX3. Introduced in 1948 it hinted the design that we all know today. For full ten years this car was built by Austin when it was replaced by FX4. FX3 is still highly desirable today and vibrant collectors community is active in England today. In 1958 FX4 came and conquered London. It had a life span of almost forty years. Not many personal or commercial vehicles can match this achievement. In 1997 TXI was introduced with similar, well known design but with finer lines and better equipment with safety features. It was equipped with 2.7 litre Nissan diesel engine. TXII came in 2002 with only small interior and cosmetic exterior modifications. The engine however was different. Ford’s Duratorq TD I4 2.4 litre engine provided better torque and was praised by London Taxi drivers. 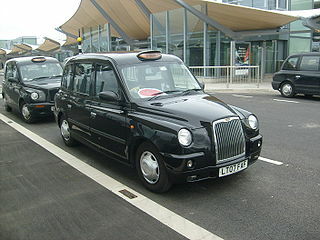 The latest London Taxi model is called TX4 and is still produced today. It replaced TXII in 2007 and came with new engine VM Motori 2.5 litre turbo diesel. The engine is compliant with Euro4 standards and that is why it is named TX4 instead of never built TX3. 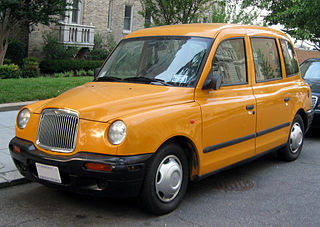 Nissan announced that it is building new London Taxi. The car will be based on Nissan’s New York Taxi which is based on standard Nissan NV200 van. It will feature Nissan/Renault 1.5 litre diesel engine. Electricity driven model is in the works as well and as far as future is concerned it seems that a few years down the line all London Taxi’s will be electric powered due to London’s available electric infrastructure.